Get your tickets now to September's Full Throttle Fall Weekend to be entered to win great prizes! 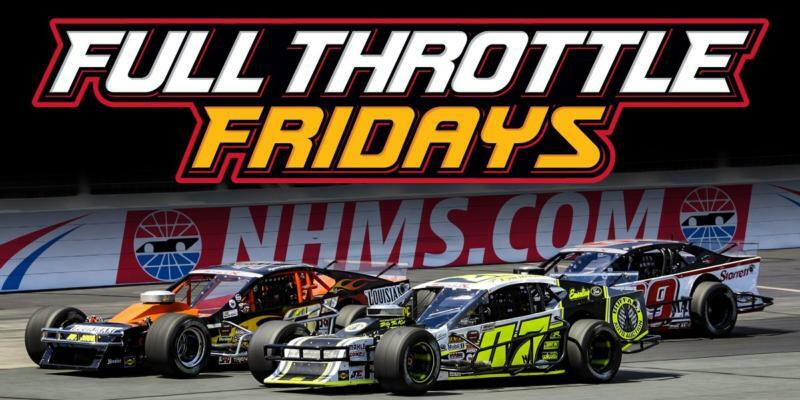 It's almost time for the biggest event of the year for short track racers and fans - the Inaugural Full Throttle Fall Weekend - which will be highlighted by the longest mileage and richest purse in the history of the NASCAR Whelen Modified Tour - the Musket 250. The weekend will also feature the first time Canada's NASCAR Pinty's Series will race in the U.S. and the first global NASCAR K&N Pro Series race with drivers from Mexico and Europe. This will certainly be the must-see event of 2018 with more action and more access for you - our loyal fan - starting right now with Full Throttle Fridays! Each Friday from Aug. 24 - Sept. 21, we'll select a winner for one of five once-in-a-lifetime experiences for September's Full Throttle Fall Weekend, Sept. 21-22, 2018. Winners will be selected from entries (see Official Contest Rules) and current 2018 Full Throttle Fall Weekend ticket holders at the time of the drawing, so the sooner you buy, the more chances you'll have to win! Anyone who has already purchased tickets will be automatically entered each week.